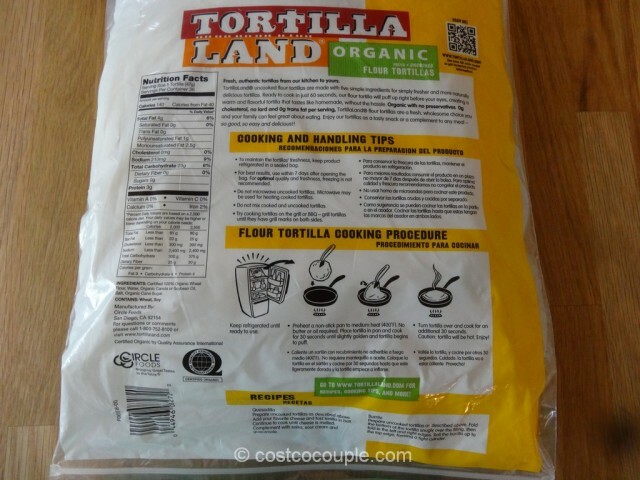 The first thing we always throw on our grill is the Tortilla Land Uncooked Tortilla and we just discovered that they’ve gone organic! 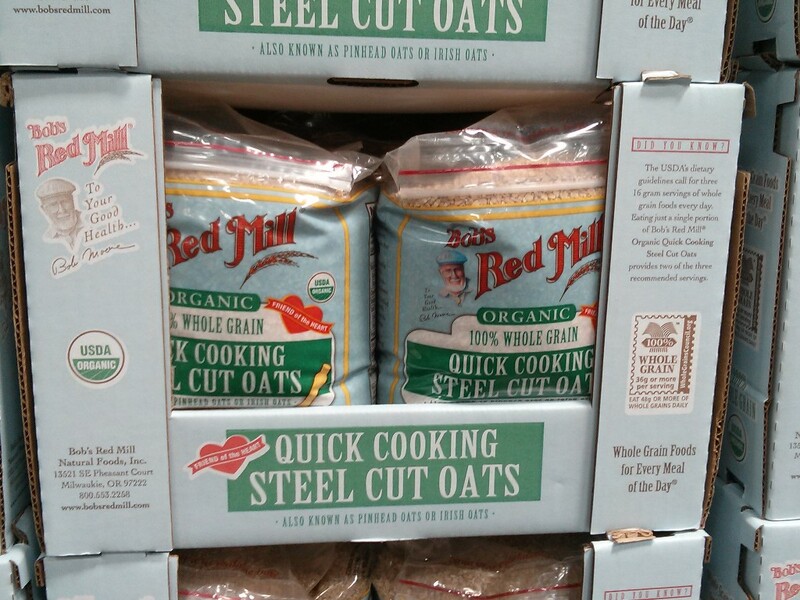 This is a must-have for us when grilling. It only takes about 30 seconds to cook each side so it’s super fast and we’ve something to nibble on while waiting for the rest of the food. You can also cook it on a skillet which is what we sometimes do as well. 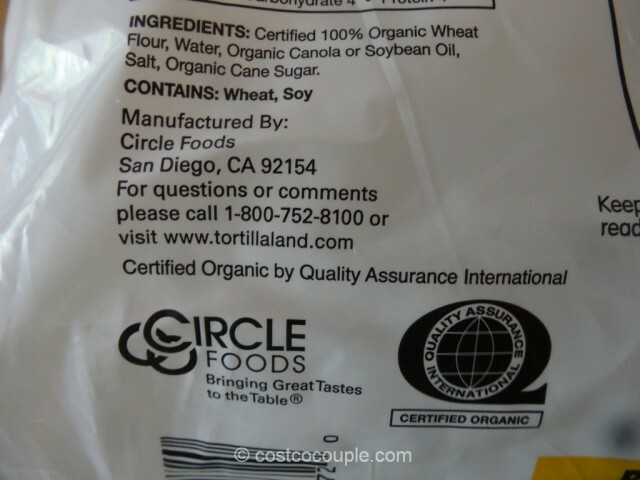 Ingredients listed are 100% organic whole wheat flour, water, organic canola or soybean oil, salt , organic cane sugar. 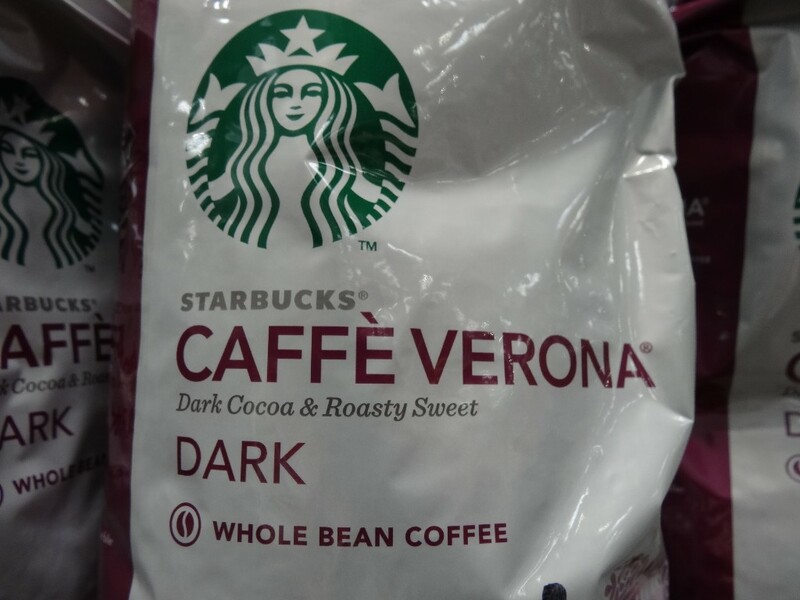 Look for it in the refrigerated section. 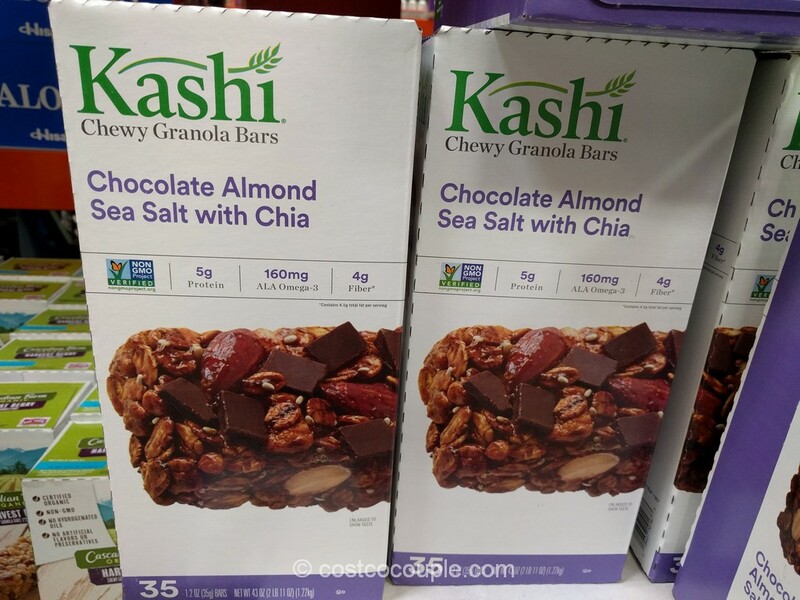 We found it next to the yogurt this time but as you know, Costco moves things around a lot so you may have to hunt it down. 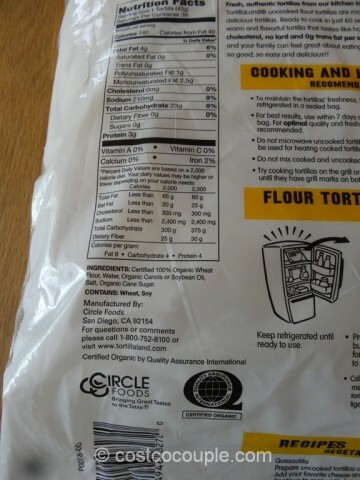 There are 36 tortillas in a package. 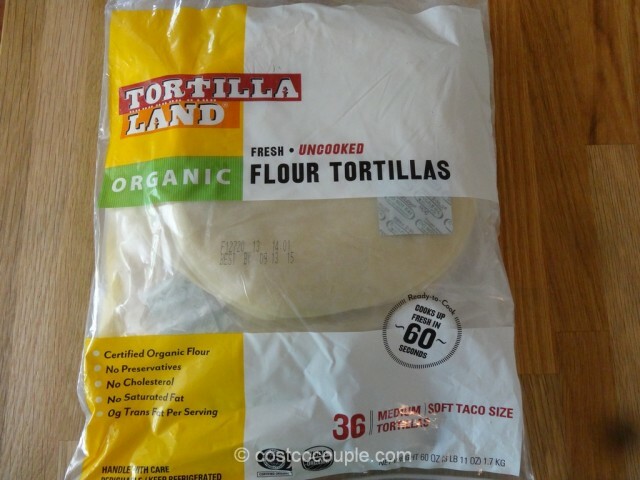 Previously, there were 50 tortillas in the non-organic version and those were priced 40 cents less. 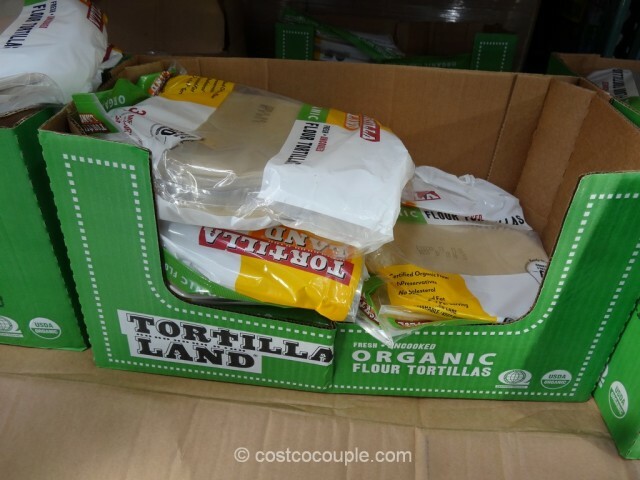 The Tortilla Land Organic Uncooked Tortilla is priced at $6.99. 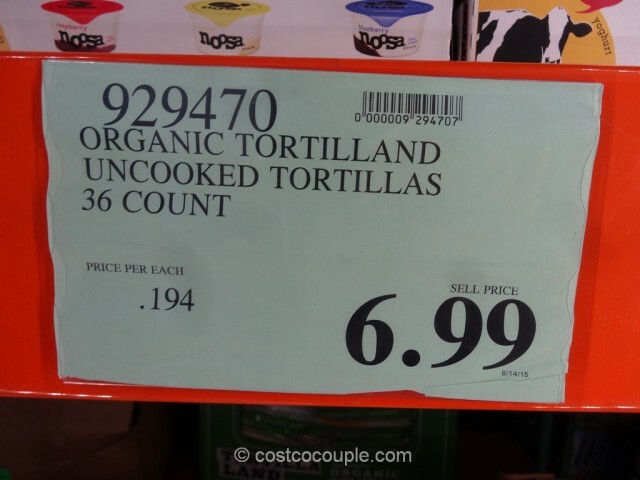 Unit price is 19.4 cents/tortilla.